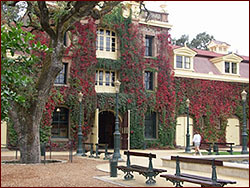 Napa Wine Tours - Sonoma Wine Tours in the California Wine Country. Private and personalized by VinoVan Wine Tours. VinoVan Wine Tours takes a different approach to taking you on your Wine Country tour. Whether we are taking you on a Napa wine tour or a Sonoma wine tour, or exploring the Russian River wine country, we believe that enjoying the Wine Country, like all of our preferences in wine, is an individual thing. So, we tailor our winery tours to your interests and travel at a pace that is comfortable for you. We prefer to have our customers tell us about their wine preferences so we can recommend the best wine tour day for them. But why should I book my tour with VinoVan Wine Tours? When many people call with a tour inquiry, they want to know how many drivers we have, how many vehicles and so on. I am the company – 'one man and one van' I like to say. My customers like that. They aren't talking to someone that is going to just give them information – they are talking to the guy that will not only book their tour but the guy that will take them on their tour. Your VinoVan tour guide will be a sincere wine aficionado or 'wine nut' as I often term it. With over 30 years experience touring and tasting in Napa for my own enjoyment and professionally touring for 8 years, you will experience the best Napa and Sonoma have to offer. I will be driving you around the wine country but more than that – you will have someone showing you around that not only really knows the Wine Country but someone who is a passionate wine person as well. You will experience a truly customized winery tour tailored to your tastes & designed with your pleasure & comfort in mind. 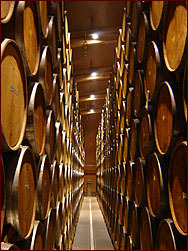 You will discover exceptional wines - the established legends as well as the rising stars. You will be able to access the inaccessible & sidestep the routine. Reserve your tours by calling 925-487-1744 or email Tom at tdelaney@vinovantours.com for a wine country tour you will talk about for years to come.